1981 928S 4.7 ROW with KE3-Jetronic and Franken8 (AEM Inifinty) "Be the man your dog thinks you are." 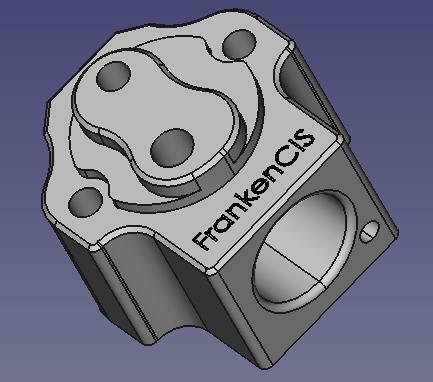 I'm going to put in a small run of production blocks, does anyone have any comments on the current configuration, especially regarding lines to and from the FrankenCIS block and the current free location of pressure sensor. My thoughts were that every install would be different so keeping it all modular means the DIY/mix-n-match option is still possible. In a week or so I'll have a sneak preview of our 'Pro' version of the project for anyone that is interested in a more advanced setup, and as a consequence there will also be a FrankenSqwirt ECU very soon! so watch this space. Last edited by Reanimotion; 09-23-2014 at 05:05 PM..
Steve i'm assuming the thread sizes for those lines are the same as for a bosch wur, right ? Much longer drive today (without logging) on a reasonably warm day in the mid 20s metric . Ran very nicely from cold to hot in traffic, I'm very pleased with the outcome so far. Prototype block does have an issue with the 1/8 NPT plug that blocks the end of the outlet chamber, as it warmed it appeared to wash out the permatex #3 sealer and weep a bit, so I removed and replaced with Teflon tape until I can get hold of the production units. If you have a prototype, I'm officially recommending for safety reasons to use it as a paperweight or re-tap the end for a metric washer seal. Do not install in a vehicle as is! We've collectively gone through the phase one prototype stage. We've shown we can do it. Now we need to discuss how we want to do it for particular models before we progress. 1 simple block as per prototype with remote mounted pressure sensor somewhere else in the CP line, with or without Bosch damper as appropriate. 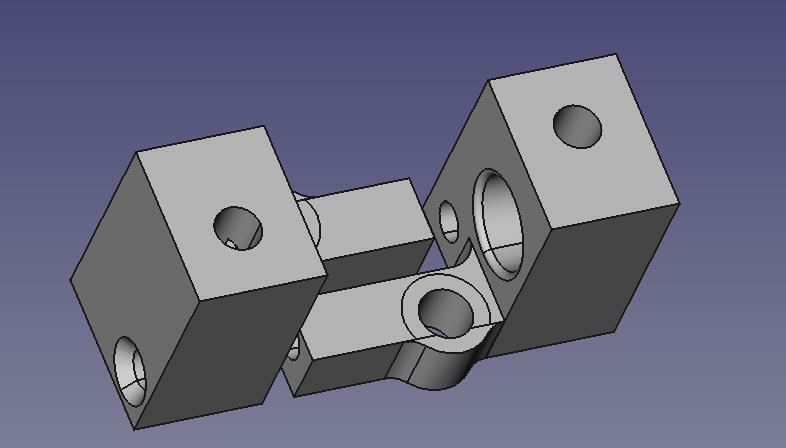 2 more complicated and less flexible all in one attempt containing injector sensor and damper in the one block. 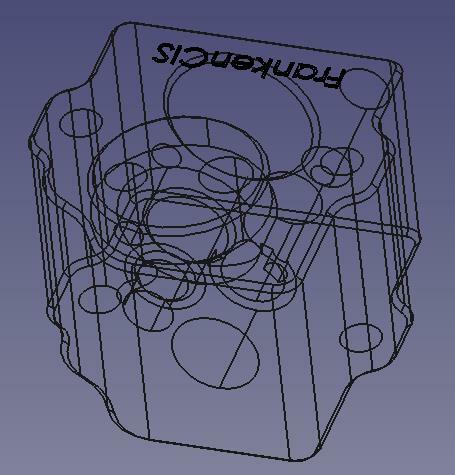 If in modular form, I would want all part numbers for an application to be on one site linked in a parts diagram for my application so it's easy to know what I'd need. Or else just kit form for each application. Looks like this could be for many cis cars o I understand the level of crazy it must be to imagine a kit for every car. You'd have to quit your day job. Unit #2 (Adelaide, Australia) installed and running on the dyno today with no damper. And - just because we don't have enough to do it looks very much like we might have an OEM level control system soon, as an economical long term alternative to the MegaSquirt solution. Last edited by Reanimotion; 10-03-2014 at 02:32 AM..
Quote from the dyno tune test - "...we could make the AFR what ever we wanted! Awesome." The vehicle was reportedly very rich down low and lean up top, so with the FrankenCIS set to 0.01bar resolution, adjustment ranges of -10kpa and +20kpa across the appropriate areas of the map brought everything together. Last edited by Reanimotion; 10-03-2014 at 02:41 AM.. When is the 930 test going to happen? As soon as we can find someone silly enough to volunteer. Alan in NZ is the closest I think, and only a shortish international flight away. Last edited by Reanimotion; 10-03-2014 at 03:09 PM..
Darn! Missed it by that much! I'm putting the car away in about 2 weeks, I'd be a bad Beta tester with that little time. If you need another tester please let me know, I'm a systems engineer and maybe can contribute at least as testing mule. Please PM prices with s&h to Miami, Florida, 33166. We are rebooting the Open5xxxECU concept initially for us and CIS but eventually an ecosystem for all and sundry, hobby or commercial along the lines of Arduino or Linux. Are you going to sell these as a set or just the metering block and we source all the other bits and pieces? For MicroSquirt and the rest of the components there is no sensible way we could compete on a small scale with local suppliers and the Bosch network. 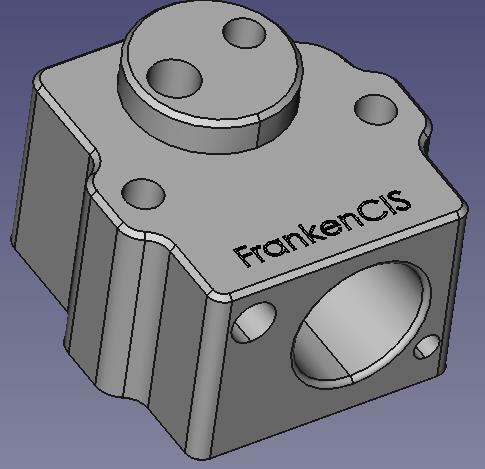 If it looks like FrankenCIS will become a viable commercial venture for us then we would definitely look at creating a basic kit including the specialised sensors and ECU. We also want to foster the Open Source community aspect of this by having alternative suppliers and implementations. For example the Mercedes tuner Stuttgart Classics / Dkubus will be packaging their own implementation using a our block and ECU but doing their own sensors, harness and plumbing to suit the supercharger kits. If I understand correctly, option 3 will open up a lot more possibilities regarding injectors / flow rates. On the other hand, for this particular purpose, the available range of side feed injectors is probably enough and the appropriate blocks (1 and 2) are neater / simpler and probably cheaper. Between option 1 and 2, I think it will come to the particular installation. I will start myself with option 1, as I'm trying for the minimum possible setup. I'll even start by using the existing oil temp sensor instead of a dedicated one. Steve, regarding option 2, wasnt'it advisable for damping reasons to locate the damper closer to the FD ?